How many times have you seen pictures of yourself and been disappointed at the way the lighting or the pose made you look? Candid shots are terrible for this, and have been known to drive people right out of their minds. 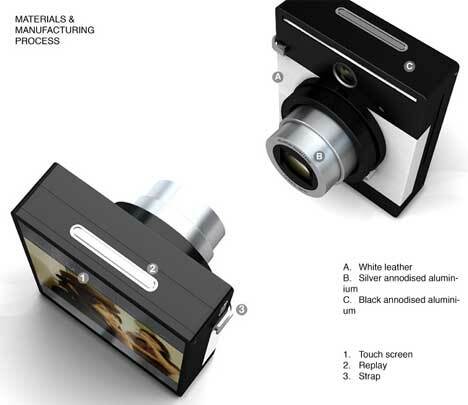 But this concept camera from Xi Zhu can put your mind at ease by giving you, the photograph subject, power over which shots get deleted and which get posted in someone’s very embarrassing online photo album of the evening. 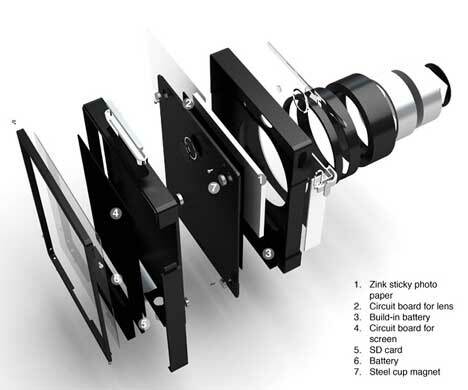 In this conceptual camera, the photo-taking part of the camera is held to the preview screen/printer via strong magnets. When the photographer wants to take a photo, he has the option of detaching the screen/printer and handing it to the subject. The two are connected wirelessly, so that when the photographer snaps a photograph, it’s transmitted to the screen. The person operating the camera can’t see the preview; that power is left to the subject who can then decide to print the picture, save it on the camera’s memory, or delete it. It’s easy to imagine this concept being produced at some point, especially given the multitude of crazy-multitasking digital cameras already being produced. And what better way to strike up a conversation with a cute stranger at a party than asking them to hold your preview screen while you snap a picture of the person whose phone number you’d like to snag? 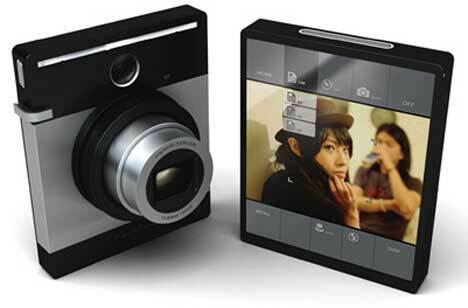 See more in Camera & Video or under Gadgets. March, 2010.